Combat Medic – October 26 – 27th, 2019. During the Tactical Medicine 1 course, students focus on critical life-saving techniques that include extrication and evacuation to safety, immediate life-saving techniques (airway, breathing and circulation) in the field and under fire, tactical movement and practical individual first aid kit (IFAK) packing and usage. This course centers around hands-on application of one skill at a time, building to scenario-based training during the afternoon. There is an emphasis on gunshot and knife wounds. Also included are vehicular trauma, multiple injuries and introduction to triage in a field environment. Students should bring their own lunch, a small backpack and way to carry water in the field (drinking water will be available). Shoes that fully cover the feet (i.e. not sandals or flip-flops, but running shoes or sneakers are acceptable), long pants and long sleeves are required. Wear clothes you can work in comfortably, don’t mind getting dirty and dress to be outside for whatever the weather may bring. Hat, Knee pads & elbow pads are recommended. This course is taught at our San Antonio campus and immediately follows our Combat Medic Training – October 26 – 27th, 2019. 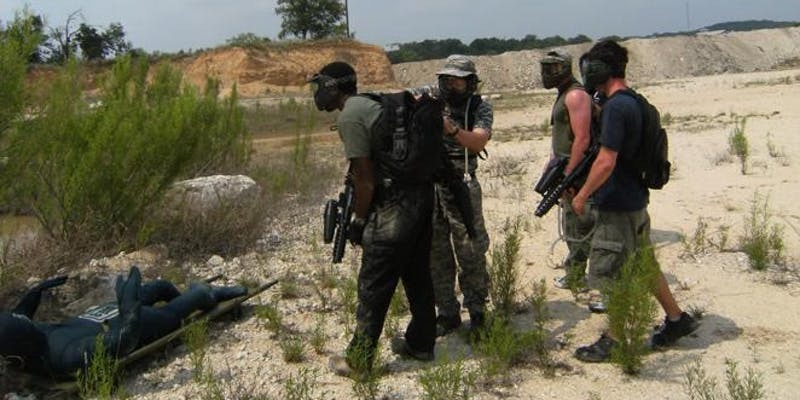 Students enrolled in the Tactical Medicine Course are eligbile for a $30 discount off the Combat Medic training. Location: Detailed directions will be emailed out to all enrolled students prior to the start of the class. A bundle discount is available when you register for Combat Medic and Tactical Medicine (10/28/19) together – Save $30!